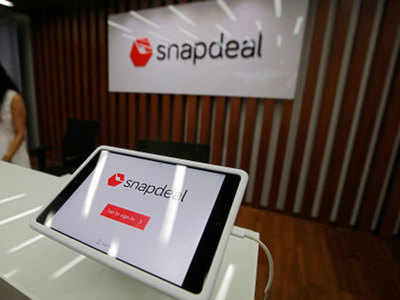 Some of the people eager to distance themselves from Snapchatamid the "app for rich people" controversy ended up deleting the app for the e-commerce platform Snapdeal instead. This came to light after netizens started posting pictures of the blunder on Twitter. @thetanmay Thanks bud. Ppl asking us to make a statement that @snapdeal is not@snapchat was possibly the last thing I thought I would ever need to do. As more people deleted their app, Snapdeal co-founder and CEO Kunal Bahl tweeted, "Ppl asking us to make a statement that @snapdeal is not @snapchat was possibly the last thing I thought I would ever need to do." Many users also explained how the two apps were different. The social media went abuzz with criticism against Snapchat CEO Evan Spiegelafter a report quoted one of the company's former employees as saying that the top executive told him that the "app is only for rich people" and that he (CEO) was not interested in expanding the business to "poor countries" like India and Spain. Snapchat, on its part, has rubbished the allegations. 0 Response to "Confused netizens uninstall Snapdeal app instead of Snapchat"